Our task is to estimate the derivative of T numerically at various times. A possible graph of T(t) is sketched in Figure N3–3, but we shall use only the data from the table. Note that the entries for T ′(t) also represent the approximate slopes of the T curve at times 0.5, 1.5, 2.5, and so on. We see that it is just the average of two difference quotients. Many calculators use the symmetric difference quotient in finding derivatives. For the function f (x) = x4, approximate f ′(1) using the symmetric difference quotient with h = 0.01. The exact value of f ′(1), of course, is 4. The use of the symmetric difference quotient is particularly convenient when, as is often the case, obtaining a derivative precisely (with formulas) is cumbersome and an approximation is all that is needed for practical purposes. which, as previously noted, is incorrect. 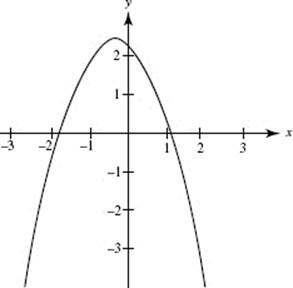 The graph of the derivative of f (x) = |x|, which we see in Figure N3–4, shows that f ′(0) does not exist. If we have the graph of a function f (x), we can use it to graph f ′(x). 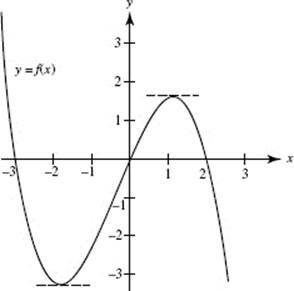 We accomplish this by estimating the slope of the graph of f (x) at enough points to assure a smooth curve for f ′(x). In Figure N3–5 we see the graph of y = f (x). 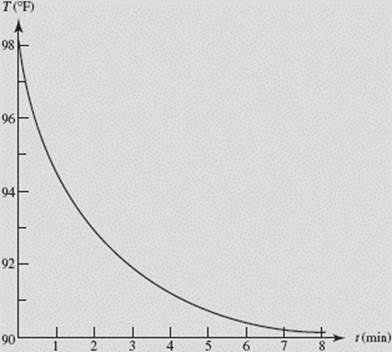 Below it is a table of the approximate slopes estimated from the graph. Figure N3–6 was obtained by plotting the points from the table of slopes above and drawing a smooth curve through these points. The result is the graph of y = f ′(x). (1) At the points where the slope of f (in Figure N3–5) equals 0, the graph of f ′(Figure N3–6) has x-intercepts: approximately x = −1.8 and x = 1.1. 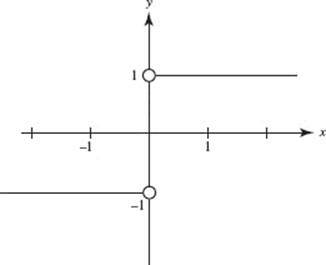 We’ve drawn horizontal broken lines at these points on the curve in Figure N3–5. (2) On intervals where f the derivative is We see here that f decreases for x < −1.8 (approximately) and for x > 1.1 (approximately), and that f increases for −1.8 < x < 1.1 (approximately). In Chapter 4 we discuss other behaviors of f that are reflected in the graph of f ′.